As many of you know, we’ve been on a bit of a journey over the past 12 months. For those of you who have been with us for a while, you’ll know we rebranded from Motoring.co.uk last summer. As we started the new year, our 1,400,000th driver got the keys to their digital garage. On Motoring.co.uk, many of our tools and helpful calculators on the site started with the reg plate. It’s every driver’s fingerprint. 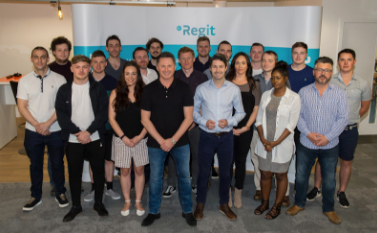 That’s why we’ve taken that reg plate and put it to the front with Regit, with the help of some top branding people (one of which is the man behind Audi’s “Vorsprung durch Technik”). It’s what made us different from other car sites and platforms. Got a problem? Just Regit. Despite that, we know the site isn’t perfect yet, but we’re on a journey with our users to improve it each day. We’ve taken plenty of feedback onboard since the rebrand to make it better, and we’ve got much more in our roadmap. We’ve got loads of ideas too. We want to reward all our loyal users with a motoring toolkit where you can consistently save on your motoring, like better finance rates or cheaper servicing. We also want to create better content and improve how we communicate with you too. And we want to do this as quickly as possible. To help us achieve all this more quickly, we’re launching an online equity fund raise shortly. In order to improve Regit and build some of the features our users are asking for, we need to employ some more great people and that costs money. It’s also a great opportunity for our users to really drive forward our growth and be a part of it for as little as a tenner.